Nobody is going to be surprised that Porsche takes engine assembly this seriously. Still cool though. 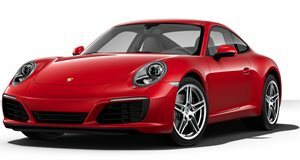 Porsche 911 engines are still largely hand-built, meaning that robots are only taking care of the less important little screws and such. What this means is that the engine factory has men and robots working alongside one another in a way which is almost mesmerizing to watch. It is also just as clean and well organized as you would expect an engine plant for a high-end German carmaker to be, all jokes about German aside (sort of). It will probably make you wish that you had a ring compressor like that, but we're guess those aren't cheap.